In line with demand, median home prices continue to increase, up to $575,000 (15.6 percent) for all residential housing types, and $630,750 when condos are eliminated. While there are still affordable condominium options in the greater Puget Sound region, the lack of available supply in the downtown core is certainly impacting the market, as an RSIR report indicates there are just 7 resale condos available for sale in Seattle priced below $700,000. The lack of affordability that potential buyers face in Seattle is even more stark when looking to inventory statistics from other popular markets in the U.S. While last month in Seattle there were just five condos priced under $500,000 on the market, Seattle Times says New York had nearly 500, Miami had 560, and even San Francisco had 24. Condo sales prices have jumped nearly 20 percent compared to this time last year, which may seem daunting to potential buyers. Yet those that can plan ahead have found an alternative to the competition of the resale market in unit reservations and presales, while others take advantage of the favorable winter season to make their next move. Companies like Starbucks, Microsoft, Amazon, and UPS have provided steady job growth for the area, but, hey, Seattleites know how to rock, too — as the home of grunge, which is still popular in the music scene there. We cannot wait to see what 2015 brings as Seattle received a lot of attention this past year as Forbes Recognized it as Just About the Coolest City in the US, CNN Noted it’s Millennial Appeal, CNN Money Called it a Hot Market for Chinese Buyers, and KOMO TV Reported on the Downtown Building Boom. Attractive two-story homein highly desirable Brittany Lane in Regency Woods. Vast oak hardwoods ceramic tile adorn the entire first floor. Agraceful floor plan adjoins a large kitchen with a viewable family room for large festive gatherings.All 4 bedrooms are up, including a large master suite 5 piece master bath, cathedral ceilings and skylights. Multilevel cedar decks,lighted arbors water feature spilling into a beautiful pond make the landscaped private backyard peaceful inviting. Home of the Day is a new feature presented by the Puget Sound Business Journal and Realogics Sotheby's International Realty. This is your invitation to view some of Puget Sound's most-luxurious properties. Nostalgic 1920's era meets modern day amenities while retaining the charm and appeal of yesteryear. 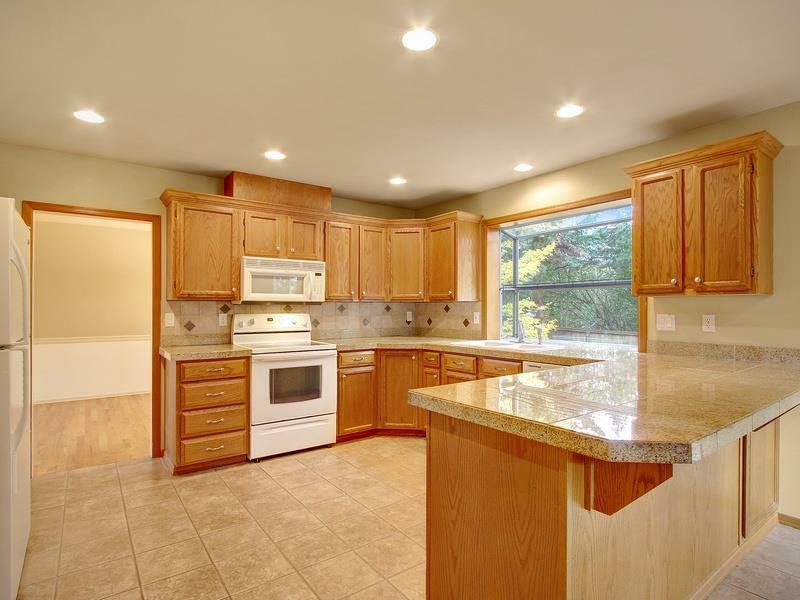 1928 Brick Tudor invites you to entertain comfortably in the updated kitchen with amenities including Brazilian Solid Slab Granite, Cherry Raised Panel Cabinets, SS Appliances, 5 Star Oven / Gas Cooktop. After entertaining friends in your gourmet Chef's Delight kitchen, retire to the lovely Grand Patio to watch and hear nature from your private yet close-in and perfectly sized property oasis.